For all Shakespeare’s poetry, its two houses alike in dignity and its tragic love story, Romeo and Juliet is ultimately a story of teenage love and rebellion. So what better way of presenting it on stage than through pop music? It’s not quite opera, but ballet certainly has something of a stuffy reputation. 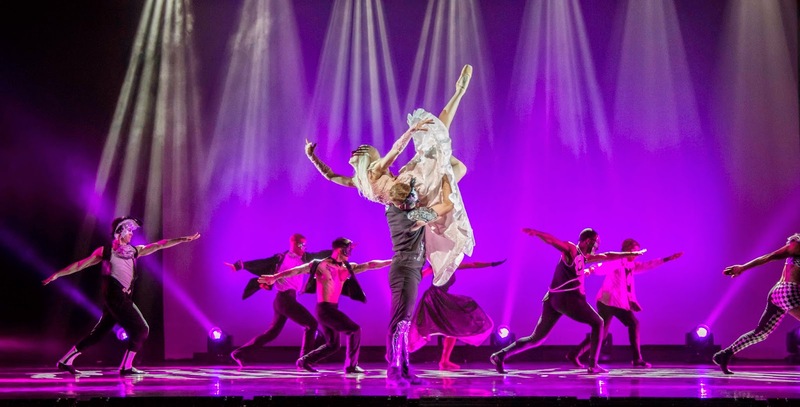 This production of Romeo and Juliet, from director Rasta Thomas, aims to entice a new, younger audience to the ballet with this strange concoction of classical and pop musical styles. For the most part it works, creating something fresh and different. The classical music choices are a little hackneyed (how many times is Vivaldi’s Four Seasons used in everything? ), but the next minute the cast dance to the likes of Lady Gaga, Usher, LMFAO and The Police. Though jarring and confusing, hearing Prokofiev rubbing shoulders with Swedish House Mafia eventually proves enjoyable and is certain to please a younger audience. Now, my hips don’t lie, but I’m definitely no ballet dancer. From my limited experience though, the dancers were outstanding. As with the music, the dance blurs the line between classical ballet and modern contemporary to suit each song, incorporating elements of gymnastics and hip-hop too. 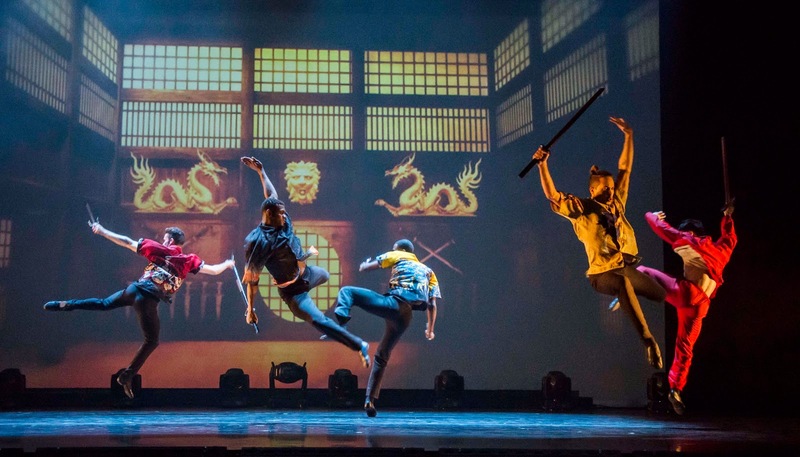 This is especially impressive from the male dancers, who flip and pirouette across the stage in a masculine display: Preston Swovelin has some spectacular moments as Romeo, whilst Ryan Carlson excels as a boxing, muscular Tybalt. With only two women in the cast, Adrienne Canterna undoubtedly stands out, but as both Juliet and choreographer of the production, it’s telling that she has plenty of solo moments in the spotlight. However, this is equally a piece of storytelling and it’s here the production falters. It is not enough to rely on the presumption that the audience are familiar with the plot – it has been severely cut here and many characters are absent. What’s mainly missing is a sense of danger, even despite Carlson’s manly posturing as Tybalt; for the most part this is just a frothy love story. Visually, the costumes are an odd mix too and the projections add little to the narrative beyond the already clever choreography that's full of storytelling and symbolism. Mostly, it all feels a little disjointed: dance, applause, rinse repeat. With each dance lasting around two minutes, the show overall consists of short fragments that don’t flow seamlessly into a cohesive whole. Individually, though, there are some beautiful, tender and touching moments, including Juliet’s exuberant joy dancing to Katy Perry’s “Teenage Dream”, and a love duet to Desree’s “Kissing You” (indebted, of course, to the 1996 Baz Luhrmann film). Amongst all the youthful fun, there is some unexpected poignancy. Watch: Romeo and Juliet runs at the Peacock Theatre, Sadler’s Wells until 29th March.